President Donald Trump’s Interior Ministry is investing over $300 million to repair aging infrastructure at national parks, wildlife refuges, and fishing hatcheries, battling a massive maintenance backlog left by several previous administrations. “The President is a builder, he loves to build and he loves our National Parks, so it is a natural fit that the Administration is dedicating so much attention to rebuilding our aging parks infrastructure,” Interior Secretary Ryan Zinke said in a June 6 release announcing some $250 million for the National Park Service, followed by a similar announcement of $50 million for the Fish and Wildlife Service the next day. 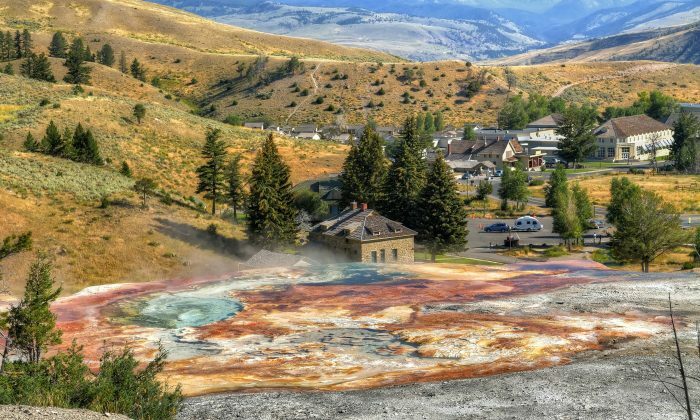 The money will feed dozens of projects, including over $21 million to rehabilitate the guest wings of the Mammoth Hot Springs Hotel in Yellowstone National Park. The outdated guest rooms have long been scorned by visitors otherwise impressed by the historical building. The investment will also increase the guest wings’ resilience to earthquakes. 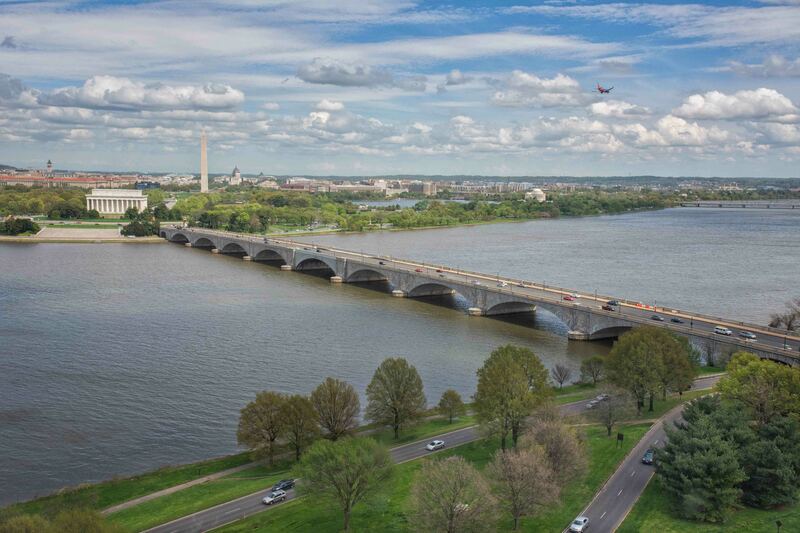 Over $18 million has been earmarked for repairs to the Arlington Memorial Bridge, part of a $227 million project to rehabilitate the neoclassical structure spanning the Potomac River in Washington. The bridge has been determined “structurally deficient” and, since 2015, can no longer be used by large vehicles such as trucks and buses. Major construction by Kiewit Infrastructure Co. of Hanover, Maryland, should start in the fall. 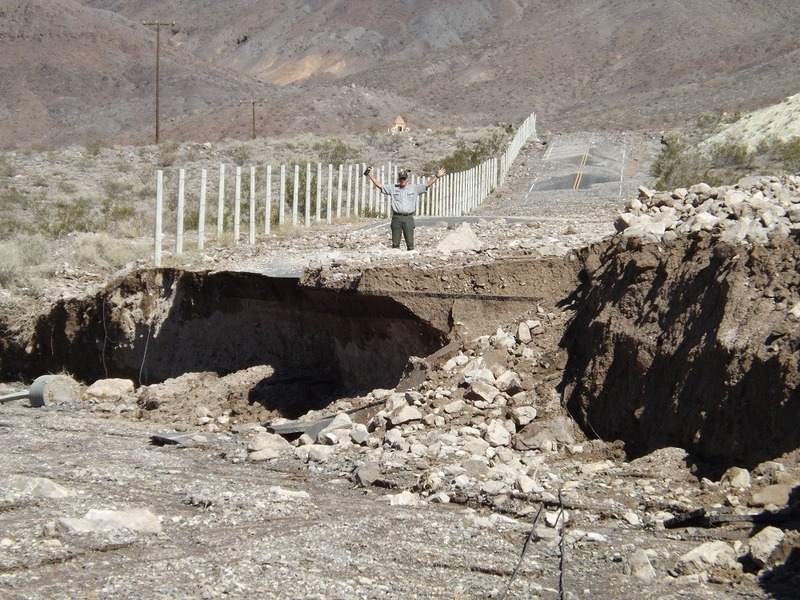 Another project puts over $5 million toward fixing flood damage to the picturesque Scotty’s Castle in Death Valley National Park, caused by a series of unusual storms in October 2015. Trump proposed increasing the Park Service’s construction budget and cutting appropriations to other parts of the agency, especially its central, regional, and local offices. That would have saved over $180 million in the 2018 budget, compared to last year’s. Congress, instead, increased the agency’s budget by almost $200 million to a total of more than $3.6 billion. For 2019, Trump proposed $33 million more for construction investments and large cuts in other areas, including over $210 million in administrative and operations savings. But again, Congress canceled those out with the Bipartisan Budget Act of 2018. The only cuts that survived are some $200 million in grants for conservation, innovation, and historical preservation. Another $42 million will be saved by stopping federal buyouts of public land within park boundaries. About 2.6 million of the 84 million acres of national parks are privately owned. The current investments are but a single step in a steep climb out of the agency’s mammoth maintenance backlog. The backlog accumulated over several decades, reaching nearly $12 billion in 2016. It has since decreased to $11.3 billion. Earlier this year, an observation deck overlooking Lake Michigan at the Indiana Dunes National Lakeshore crumbled and fell to the ground after years of erosion. Showers, campgrounds, and lodges at Everglades National Park in Florida remain broken more than a decade after being destroyed during a hurricane. The Statue of Liberty National Monument faces a maintenance backlog of more than $166 million’s worth of repairs, including over $34 million needed to stabilize the Ellis Island Seawall. About half the agency’s backlog consists of repairs needed on the more than 5,500 miles of paved roads managed by the agency. There are at least three bills in Congress addressing the maintenance of national parks. The most ambitious one, supported by Zinke, is the bipartisan National Park Restoration Act sponsored by senators Lamar Alexander (R-Tenn.) and Angus King (I-Maine) and representatives Mike Simpson (R-Idaho) and Kurt Schrader (D-Ore.). The act would redirect some miscellaneous revenue from oil, gas, coal, or alternative energy development on federal land and water toward the Park Service’s maintenance backlog. The government charges companies for energy developments on federal land. In 2017, it collected about $7 billion, about a billion more than the year before. Most are paid out to states and different funds, like the Reclamation Fund, the Historic Preservation Fund, and the Land and Water Conservation Fund. Close to $700 million also went to American Indian tribes and over $2.5 billion went to the general fund of the Treasury. The bill aims to use some of the money going to the Treasury over the next 10 years to restore national park infrastructure. The lawmakers expect the scheme to give the Park Service up to $18 billion, but the amount will depend on how much development energy companies will want to do and how much development the government will allow. Trump has directed the federal government to streamline environmental and permitting decisions for major infrastructure projects, with a goal to complete the entire process within two years. Zinke lauded the bill as “the largest investment in national parks in our nation’s history,” in a March 7 release. The bill was referred to the Committee on Energy and Natural Resources in March, but has not progressed since. The Park Service manages 417 sites, which were visited by 330 million people last year.